Grade Potential provides top-quality earth science tutoring to help you (or your child) reach your specific academic goals. Whether you want assistance with one earth science class or with continuing science classes throughout high school and college, we’re here to provide the best tutors around. 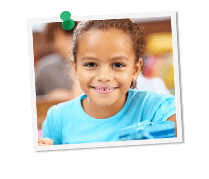 Grade Potential tutors empower students to start their school years, semesters or quarters right. Through highly individualized, custom earth science tutoring, we address tricky concepts and work with each individual to make learning more approachable and fun. Grade Potential provides highly individualized tutoring catered to unique students. Rather than a one-size-fits-all approach, we adapt our tutoring services to the specific students we’re serving. Our tutors come to you at your location and on your timetable to make learning as convenient as possible. What’s more, we seek to match each student with just the right earth science tutor for him or her to learn best.